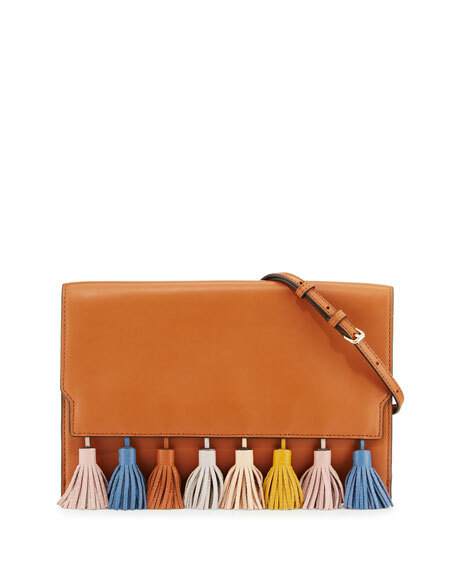 Rebecca Minkoff smooth calf leather clutch bag. 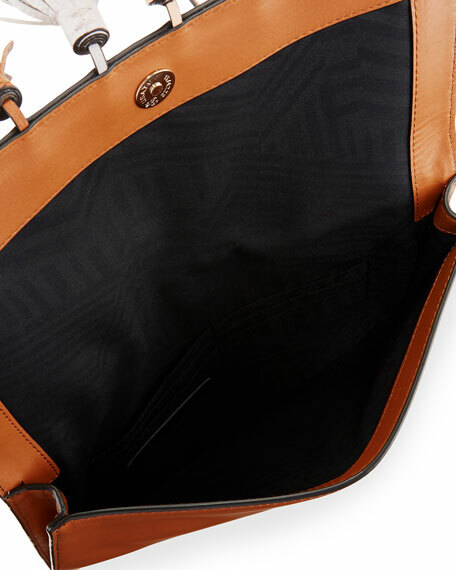 Removable, adjustable shoulder strap, 21" drop. 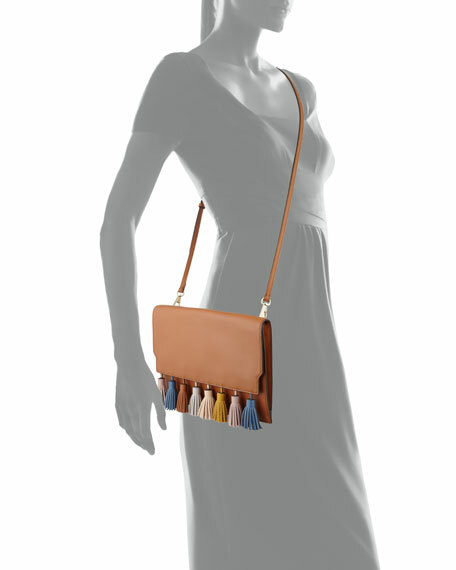 Flap top with colorful tassel trim; snap closure. Interior, fabric lining; six card slots. 8"H x 12"W x 1"D.
For in-store inquiries, use sku #1892319.